Well, it looks like we actually might see the return of Snapchat’s overhyped Spectacles soon. As Variety first reported, the FCC published a filing by Snap for a “wearable video camera” on Tuesday, just a month after rumors came out that the company might release not one, but two different versions of its video recording sunglasses. Let’s hope they look better than the last ones. The FCC filing of doesn’t tell us all that much, aside from the fact that writing off $40 million of unsold Spectacles won’t stop Snap from giving wearable cameras another go. The filing does indicate that the updated Spectacles will have improved 5GHz Wi-Fi band support not found on the original Spectacles. That means faster connectivity is in the cards, which should translate to faster uploading of your cool social life to the Snapchat app. The filing also suggests new designs, as the new device will have its FCC ID label in the Snapchat app, whereas the the original Spectacles had the label on their temples. With Cheddar previously reporting on Snap potentially releasing a redesigned pair of Spectacles with an aluminum frame and two video cameras instead of one, the digitization of the label could mean much slimmer glasses, and less brightly colored plastic on your face. What doesn’t make sense is why the company is even bothering, considering how much cash they lost on their first attempt at making sunglasses. 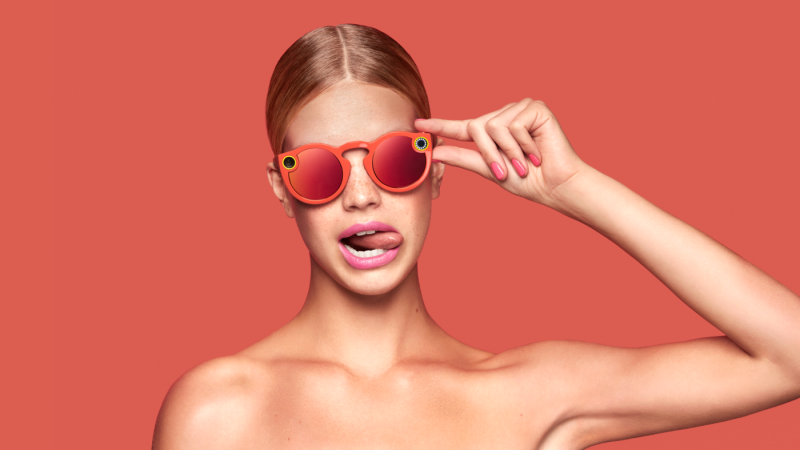 Snapchat made too many Spectacles last year, overestimating demand and leaving them holding the bag, with hundreds of thousands of unsold Spectacles sitting in warehouses. On top of that, a leadership change led to the Mark Randall assuming the role of VP of Hardware, replacing the former Spectacles head Steve Horowitz, who became the VP of Technology and serves as an advisor to the Spectacles team. Whether or not Snapchat knows what it wants to make remains to be seen, but with faster connectivity, dual cameras, and a new, sturdier frame, Snap might actually make something worth waiting in line for.